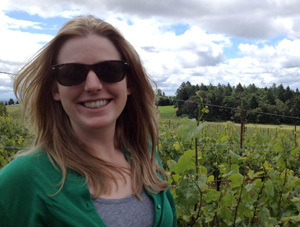 MS candidate Lindsay Jordan received $14,876 for her project Investigating annual under-vine cover crops as a sustainable alternative to herbicides in Northeast vineyards from the Northeast Region of the USDA Sustainable Agriculture Research and Education program. Jordan’s faculty advisor is Justine Vanden Heuvel. Among the other 2013 recipients is James Keach, Graduate Field of Plant Breeding, who is working with Mark Bridgen on Integrating resistance from wild relatives against downy mildew in Impatiens. 2012 NESARE grad student grantees included Emily Reiss and Bryan Sobel.